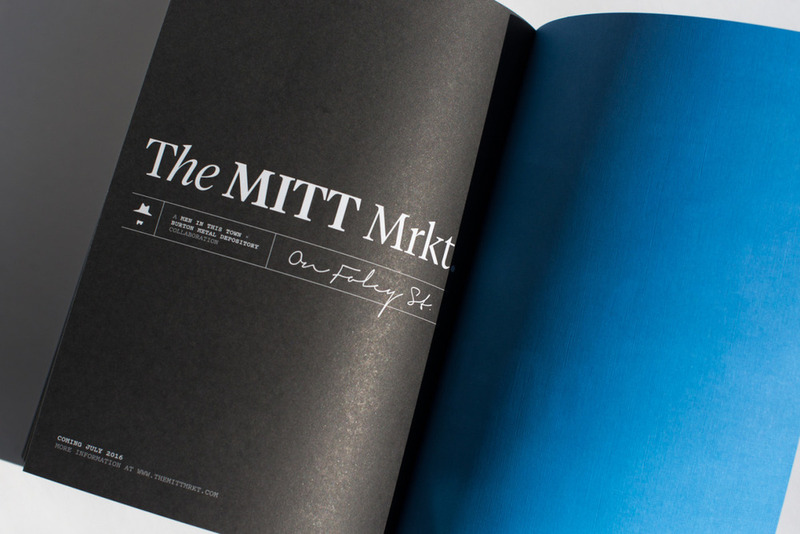 It’s hard to believe but the 8th issue of MITT magazine is here and available to pre-order! 🎉 This issue features some truly amazing works by men in this town including cover man Dani Bumba in Paris, Jonathan Daniel Pryce in Glasgow and Micke Lindebergh in Sydney. To make sure you don’t miss this issue or any future issues of MITT, become a subscriber for just $10 and get free shipping on all future deliveries, worldwide! So grateful for the recent press on the new Men In This Town book, have a read above for a little insight on the making of it. Today, I'm truly humbled to be releasing my new book, Alone In A Crowd, worldwide! This book follows my travels from my current hometown in Sydney to Melbourne, Tokyo, London, Paris, Florence, Madrid, New York and my childhood home, Toronto. Some of the photos in this book focus on the menswear enthusiasts during fashion week, while others celebrate the everyday style of men — on the streets, at work and at play. Regardless of the setting, my approach has always been as an outsider looking in, observing a particular quality about someone's personal style and how they hold themselves as they go about their day. Alone In A Crowd is available to order online and is in all good bookstores worldwide from this week. Thank you for following along these past 7 years, I hope you love this book! Jaques Grosz as featured in MITT magazine photographed by François Cavelier. Andy Johnson as featured in MITT magazine photographed by Alan Weedon. Andy Jackson as featured in MITT magazine photographed by Pakawat Hongcharoen. Phillip de Leon as featured in MITT magazine photographed by Jeremy Perkins. 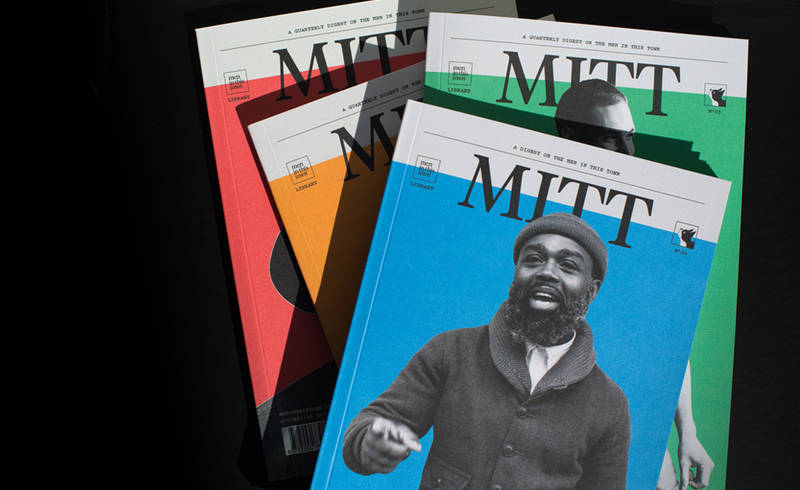 ...big year ahead for Men In This Town, including a new book, a new HQ and four new issues of MITT magazine! But before all the madness, I'll be taking a little break for the rest of the year. I would like to thank you for all of the support throughout 2016, whether you bought an issue of MITT magazine, copies of the books, visited The MITT Mrkt. pop-up or simply visited the blog on a daily basis, I hope Men In This Town has provided some inspiration in your life. I'll be back with regular posts on January 9th, 2017. I'm so excited to finally reveal the fifth cover of MITT magazine, featuring Phillip de Leon, photographed by Jeremy Perkins in Pasadena. I cannot be more proud of this issue as a whole, with inspiring features from around the world by incredible contributors including Alan Weedon, Chris Aadland, Ryan MacDonald, Ali Asghar, François Cavelier, Katelan Cunningham, Andrew Geeves, Pakawat Hongcharoen, Kimberlee Oo and Peter Rosewarne. Thank you for making this the best issue yet! The fifth issue is now available to pre-order and will be shipping out worldwide on October 1st! Illustration via @mr.slowboy, featured in issue 4. AN UPDATE FROM THE MITT MRKT. If you haven’t heard, The MITT Mrkt. will be opening a real-life shop in Sydney! Our official opening date has been pushed a couple months due to construction delays but fear not, we’ll be popping up with some exciting events in the lead up, so stay tuned! In the mean time, we’re on the hunt for some amazing products to stock the shop. 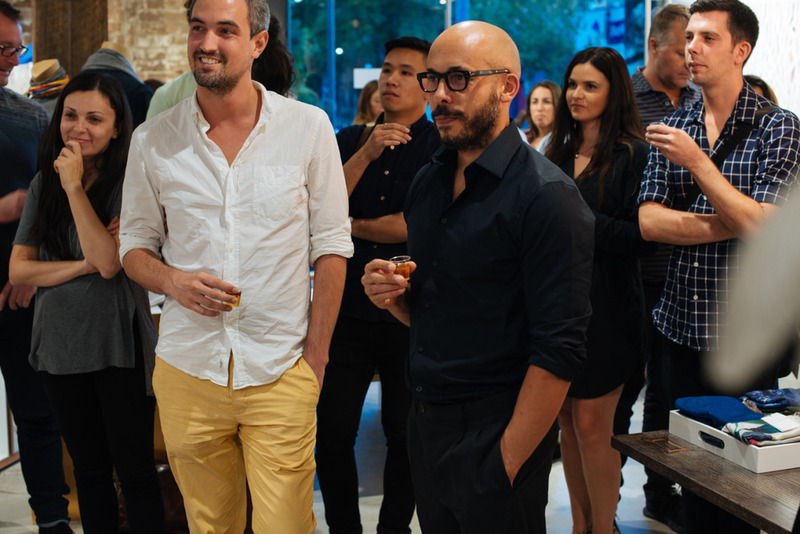 If you’re an Australian-based designer or maker (or know someone who is), we would love to have a chat with you. So if you picked up a copy of MITT magazine issue 4, you would have noticed, we’re opening up a shop! Details at The MITT Mrkt. An illustrated look at wearing a navy blazer, in the new issue of MITT magazine. Available at The MITT Mrkt. 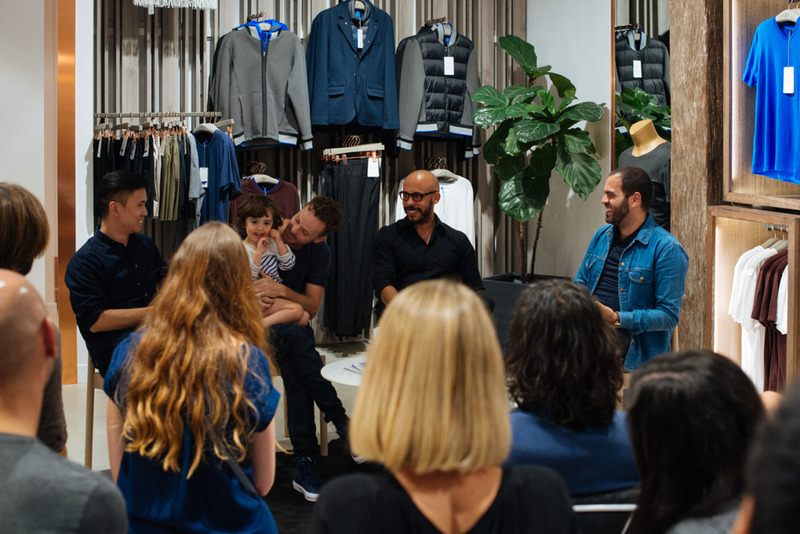 If you’re in Sydney tomorrow night, join us in celebrating issue 4 of MITT magazine with our second run of MITT Studio Talks featuring Pablo Chappelli, Leonard Mattis and Eric Ng at Kit and Ace, Surry Hills. RSVP via our Facebook page. Squad goals? 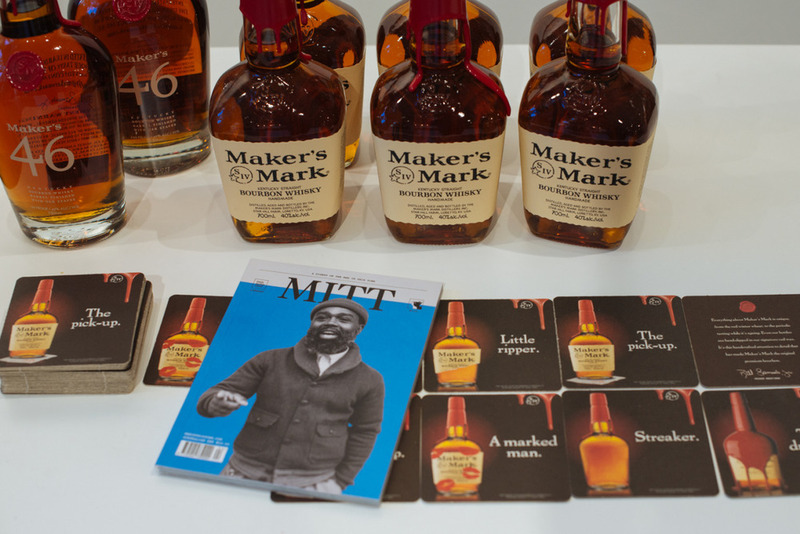 New and back issues of MITT available at The MITT Mrkt.